Bonjour Paris ← You Want Me To Wear What? Alright. Is it just me, or is this the creepiest smiley face ever? It’s the saddest, scariest smiley face I’ve seen in a long time. It looks like someone gouged out its eyes. 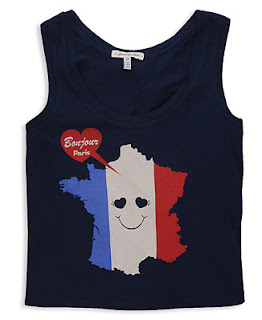 This Paris happy face is the Oedipus of happy faces. I know, I know. That’s so like me, seeing Greek tragedies in everything. I was originally going to write more, but I can’t actually keep staring at this damn thing. Its vacant, dead eyes keep staring at me, piercing my soul. The recently released iOS 9 includes a number of power-saving features designed to improve battery life and Apple claims that the iPhone 6s can provide the same 10 hours of Internet use as the iPhone 6.